Ever since we first started developing professional audio equipment in the 1960’s, Yamaha made it a goal to stay at the forefront of the technology curve. Drawing on decades of experience as a true industry innovator, we don’t merely utilize cutting -edge technologies- we create them. 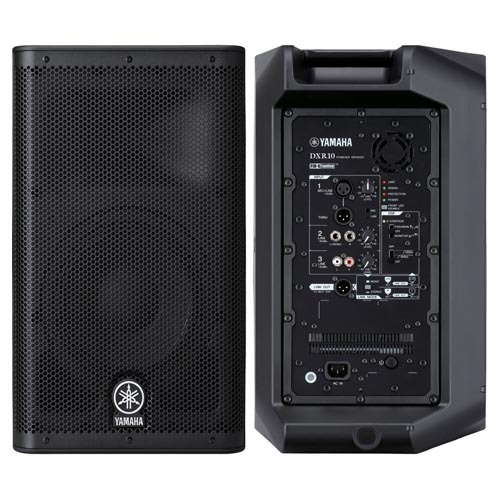 With the express purpose of making the most powerful and reliable high-resolution speakers possible, Yamaha assembled a specialized team of Yamaha’s most skilled engineers to examine, and improve on, every detail of loudspeaker design. This passion for innovation served as the impetus for an intensive collaboration with loudspeaker giant NEXO, adding their insight and expertise as an industry leader in touring-grade sound reinforcement to the development of our DSR, DXR and DXS Series speakers. As a result of working closely with NEXO’s engineers at their state-of-the-art facility, our team adopted a new approach to some crucial aspects of these speakers’ design. The detailed analysis of the transducers, thorough testing of the enclosures’ acoustic properties and optimized limiter setting all contributed to higher SPL delivered with stunning clarity and an unsurpassed level of reliability.